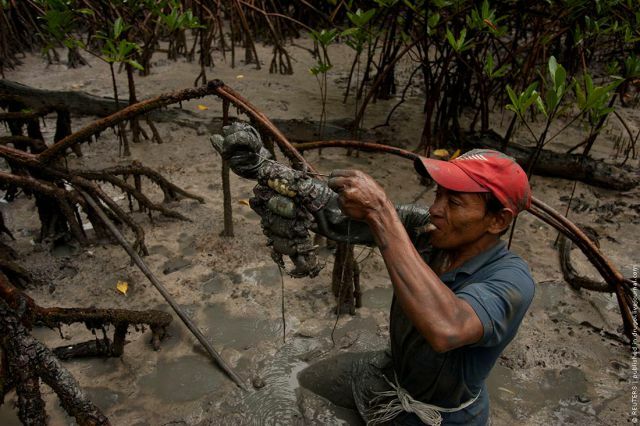 People do the most unusual jobs in order to make their living. 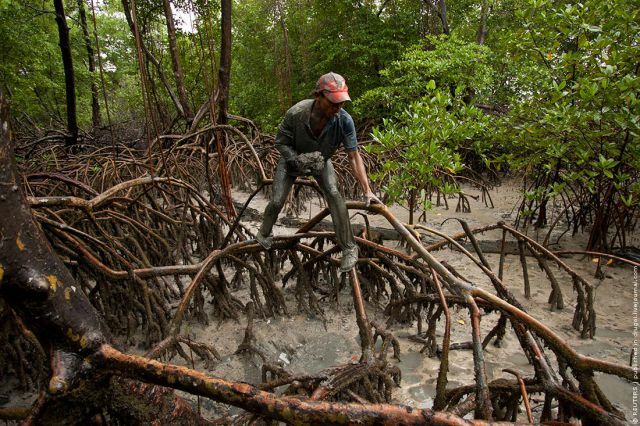 For example, this 39-year-old Brazilian fisherman Jose Benedito spends his days crawling in the mud surrounding mangrove roots on the coast of Para State and hunting for crabs. His job can’t be called a “dream job”, that’s for sure. 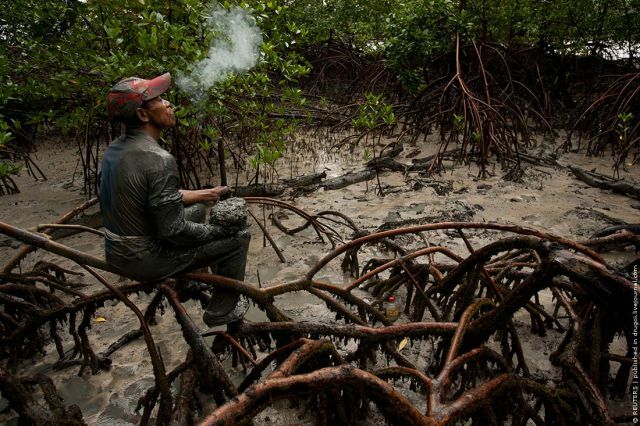 Every day, from morning till night, he searches for crabs. 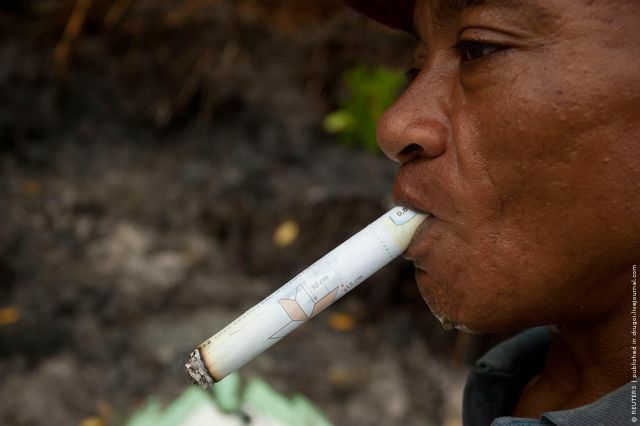 Jose smokes a homemade cigarette to keep away the mosquitos. 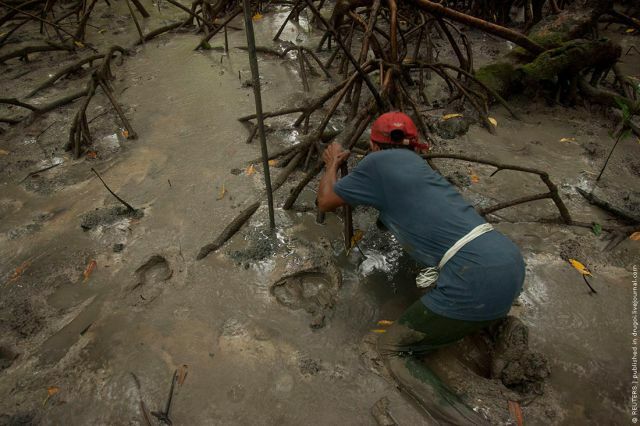 The legal season for crab hunting ended at the end of January, so it’s now more difficult than ever to complete his daily task. 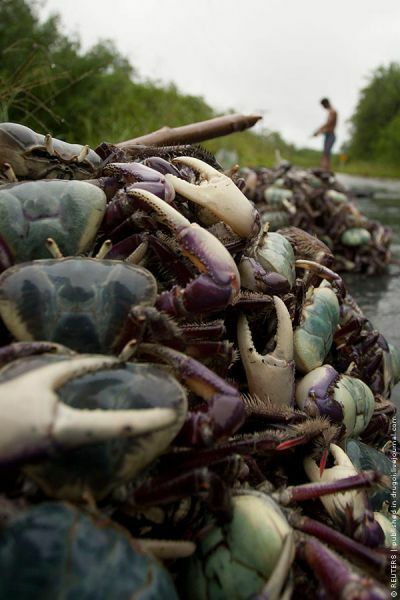 Jose’s everyday harvest is around 150 crabs. 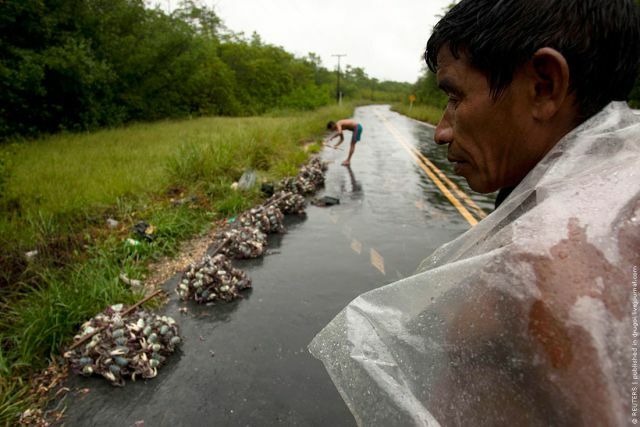 He sells it for $11 per 100 along a nearby highway. It’s his main source of income for his family. getting ripped off 100 crabs for 11 dollars.